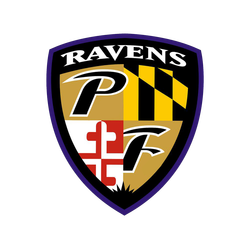 Discussion in 'Other NFL Teams' started by RavensPunkXVX, May 5, 2017. Does he WANT to be cut? I'd sign him in a heartbeat if he was. There isn't a back in the NFL right now that's as good of a fit next to Lamar. Pass on that dumbass every day. Twice. Agreed. Not like he's some homerun hitter out of the backfield. He hasn't shown much in the NFL at all really. We're better off with some rookie running back, maybe even one of the UDFA after the draft than to bring in Fournette thinking he'll be a big upgrade. Jesus. Former journeyman and ex-Raven Cierre Wood is now charged with murder of a 5-year old child. His girlfriend, the child's mother, is charged as well. They were initially charged with neglect before the autopsy found a lacerated liver. Haunting to think I was high on him as late rounder coming out. I hope he gets what's coming to him. I just don't understand why some people have children. In regards to you being high on him, it's not like you knew all his background information. You were getting your information from the tape. There's no punishment good enough. The #Falcons are signing veteran DT Tyeler Davison, formerly a 3-year starter with the #Saints, source said. It’s a 1-year sea and fills a void before the draft. Seahawks believe Russell Wilson wants out of Seattle and wants to play somewhere else. That would be an interesting development if Seattle chose to ship him off... but where? Just hope that it is not true for Hawks and really if they did that, they will regret it IMHO! Which NFL team wins this trade? Agree. I still can't believe the Seahawks didn't run the ball. I highly doubt this happens, if anything replace the Seahawks with the Raiders. Derek Carr going to the Giants, Raiders moving up to 1 to take Murray. Cardinals get 4, 24, 2nd round in this year's or the 2020 Draft. So apparently the Seahawks & Wilson's agents are still negotiating and the deadline is Midnight pacific which would be 3am ET. Full details for the #Seahawks and QB Russell Wilson: 4 new years, $140M. $65M to sign. Total guarantee: $107M. A no-trade clause. ... Now, Wilson is under contract for 5 years and $157M. And staying in Seattle. I mean he is worrh that number and is going to be going rate for the top 5 QB going forward. If anything Seattle got a good deal. I do wonder how many less Super Bowls the Pats have if Brady took big money contracts like the ones being handed out today. Probably several less, but most QBs don't have a wife taking home far more than they could.